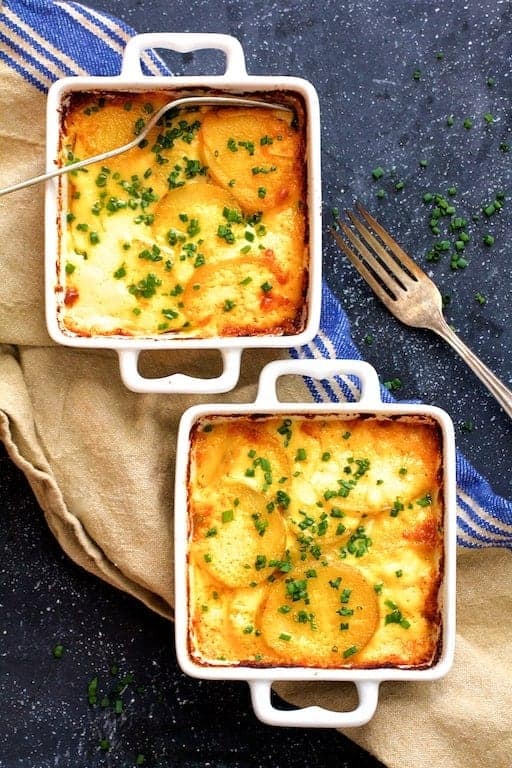 Au Gratin Potatoes for Two - Perfect for a romantic dinner for two! Au Gratin Potatoes for Two is a wonderful easy side dish to pair with whatever you’re making for your intimate dinner for two! Wow. Has it occurred to anyone else that February is right around the corner? That realization hit me at about 4:00 this morning. That means Valentine’s Day is right around the corner! What are you planning to make? Or will you figure it out on February 14th? One of the most wonderful things about being married for 21+ years is my hubby and I have figured out that any day can be Valentine’s Day. We NEVER go out on February 14th but instead choose to celebrate at home and go out to dinner at a later date. We don’t like crowds or the limited Valentine’s Day menu that is standard at most restaurants. No matter what you decide to make at home, au gratin potatoes make a great side dish. Au gratin potatoes are a classic, indulgent American comfort food side dish that’s welcome at any dinner table. It pairs perfectly with almost any protein. This cheesy American version is based on a French culinary technique where potatoes or vegetables are baked in a shallow–mostly oval baking dish–often with a crispy topping such as breadcrumbs. 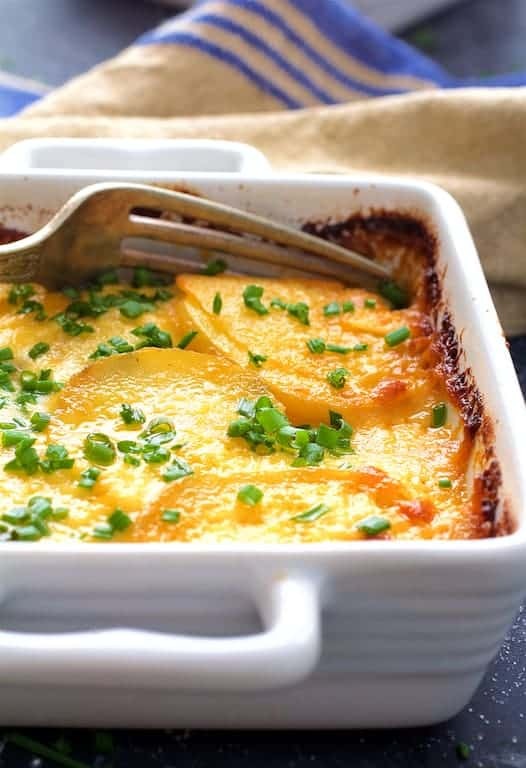 Although typically baked in a large dish, this recipe for au gratin potatoes is scaled perfectly for two people and is baked in individual baking dishes. 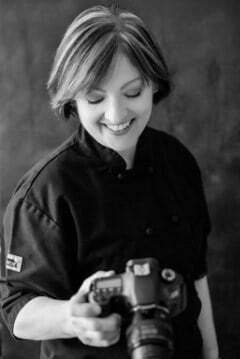 I like to use Yukon Gold potatoes which are considered a “waxy” potato. Waxy potatoes have a low starch content and a creamy, firm and moist texture that holds together after cooking. Starchy potatoes such as Russets will work, although they can be somewhat on the “crumbly” side after being cooked. Another reason I prefer waxy potatoes is they have a very thin, fine skin that doesn’t need to be removed. One less step! I used a nice sharp Cheddar cheese for this classic preparation. However, you could try a nutty Gruyere, your favorite blue cheese or spice it up with Pepper Jack. This is not exactly a light or diet preparation, but a delicious indulgence for a special day! Au Gratin Potatoes for Two is a wonderful easy side dish to pair with whatever you're making for your intimate dinner for two! Place on a baking sheet, cover with aluminum foil and bake for 35-40 minutes. Perfect for Honey and I! We even have some cute Le Creuset casserole pans made for two. It looks delicious! Have a great day!